MILTON The City of Milton is pleased to announce Harbor Freight Tools will soon be opening at 6520 Caroline Street in the Six Flags Shopping Center. A soft opening is planned for November 22, 2016 with a grand opening November 30th. 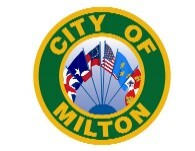 Milton City Manager Brian Watkins said he is pleased with the new arrival. “Harbor Freight Tools will provide 35 to 40 new jobs for the city,” he said. Harbor Freight Tools President Eric Smidt said the company is happy with the new venture. “We're thrilled to be opening our 59th Harbor Freight Tools store in Florida and very pleased by the warm welcome we've received in Milton," he said. "At Harbor Freight, we're all about delivering high quality tools at ridiculously low prices. We do it by manufacturing our tools at the same factories as the expensive brands, but we cut out the middle man and pass the savings on to our customers. We've also invested millions of dollars to build and operate our own state-of-the-art quality test labs to ensure that we're constantly driving quality at the lowest possible price. We invite everyone in the Milton area to visit our upcoming new store at 6520 Caroline St. in the Six Flags Shopping Center and see why if you buy tools anywhere else, you're throwing your money away."